U.S. #F1 – Click this image for more conditions and to order your Registration stamp. 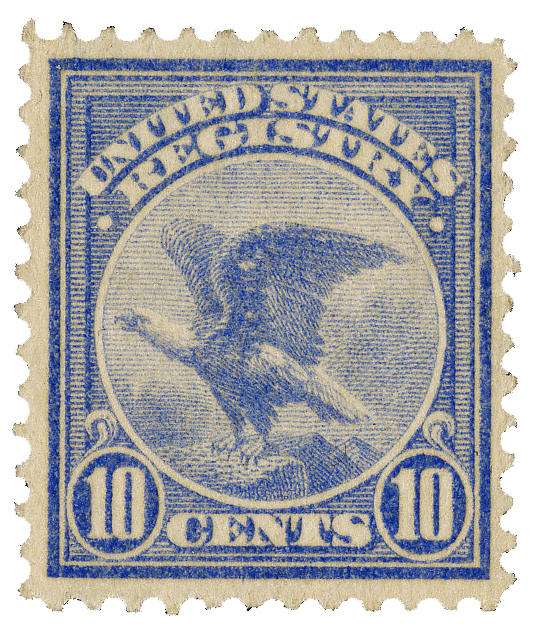 On December 1, 1911, the U.S. Post Office Department issued its first and only Registration stamp. The U.S. first implemented a registered letter system on July 1, 1855. For the next 56 years, mailers could pay the registration fee, which ranged from five to twenty cents over these years, with cash or stamps.